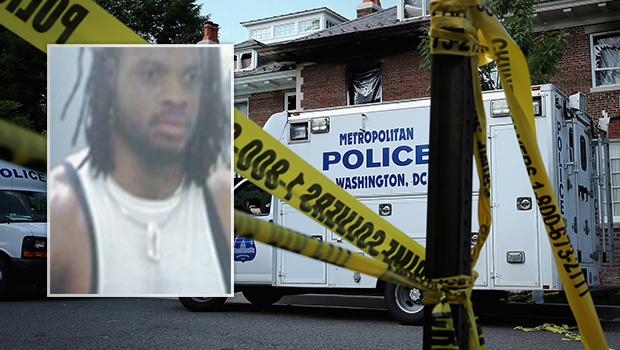 WASHINGTON, D.C. - Authorities in Washington, D.C., believe a man wanted in connection with the brutal murders of a Washington, D.C. family and their housekeeper may be in the Brooklyn borough of New York City, District Police Chief Cathy Lanier said at a news conference Thursday. However, later Thursday, a law enforcement source told CBS News there is no reason to believe the suspect - 34-year-old Daron Dylon Wint, is in New York City. The source said that Wint's girlfriend, who is from New York City, says she hasn't seen Wint recently and that as far as law enforcement knows, he is still in the D.C. area. Authorities on Wednesday evening identified Wint, of Lanham, Md., as a suspect in the killings of 10-year-old Philip Savopoulos; the boy's parents, 46-year-old Savvas Savopoulos and 47-year-old Amy Savopoulos; and the family's housekeeper, 57-year-old Veralicia Figueroa. As CBS News correspondent Wyatt Andrews reports, the break in this case came from a pizza delivered to the house as the Savopoulus family and a housekeeper were held captive Wednesday night a week ago. Investigators took DNA from skin cells left on the pizza crust. The ATF then matched the DNA to the suspect, 34 year old Daron Dylon Wint. A first-degree felony murder warrant has been issued for his arrest. The Savopoulos family and their housekeeper were found dead last Thursday, May 14 in the Savopoulos family's D.C. mansion, which is just blocks from the Vice President's residence. The home had been set on fire. Chief Lanier has said at least three of the victims suffered stab wounds or blunt-force injuries before the arson took place. While authorities have not commented on a motive in the case, Lanier said the crime was not random and that authorities believe Wint may have some connection to Savvas Savopoulos' business. Savopoulos was the CEO of American Iron Works, a large-scale construction company. Lanier said authorities have received information that Wint once worked at American Iron Works. Wint was last seen wearing blue jeans, a blue-hooded sweatshirt and white tennis shoes, Lanier said, adding that anyone with information on his whereabouts is asked to contact 911 immediately. She said he may be armed. Lanier said her department has been in contact with the commissioner of the New York City Police Department in an effort to locate Wint. A spokesperson for the NYPD told 48 Hours' Crimesider Thursday that the department has no information that Wint is in NYC, but "will support the authorities in their endeavors to apprehend the suspect." D.C. Police Chief Cathy Lanier would not comment Thursday on what evidence led authorities to identify Wint as a suspect, but CBS News has learned he was identified through DNA found on the crust of a Domino's pizza that had been delivered to the home the night before the bodies were found. CBS News has received information that a pizza was ordered to the home via the Internet last Wednesday night. Whoever ordered the pizza added a $5 tip onto the cost and left a message requesting that it be left on the outdoor porch. CBS News has also learned that hours before the Savopoulos family home went up in flames, an assistant to Savvas Savopoulos was instructed to drop off a package carrying $40,000 and to leave the money outside. Investigators think it's possible the family was held captive overnight and that the money delivered to the home was an extortion payment Savvas Savopoulos had to pay to stop the physical abuse of his family, including the torture of his 10-year-old son Philip. On the same day that the deaths were discovered, the Savopoulos family's Porsche was found in a parking lot in New Carrollton, Md., about 13 miles from the the house. It, too, had been set on fire. Earlier this week, authorities released a surveillance video of a man believed to have driven the family's Porsche to the parking lot. Lanier said Thursday that Wint is believed to be the man in the video. According to the Associated Press, the location where the car was found is about 2 miles from a home in Lanham, Md. believed to be tied to Wint. Online court records indicate Wint has a criminal history that includes a conviction in 2009 for second-degree assault in Maryland, for which he was sentenced to 30 days in jail. He also pleaded guilty in 2010 to malicious destruction of property, and a burglary charge in that case was dropped, court records show. Robin Ficker, a defense attorney who once represented Wint, told Crimesider that he doesn't think Wint would "hurt a fly." CBS News has learned Wint attended military boot camp for approximately two months in 2001, but did not complete the training. Public records indicate Wint worked for Home Depot. A manager at a Home Depot in D.C. said he could not comment on whether Wint ever worked there. He instead referred all questions to the company's corporate offices, which said they couldn't find anyone by Wint's name in their records. Amy and Savvas Savopoulos have two surviving teenager daughters who were away at boarding school when the murders took place.